Vous êtes ici : Accueil » Disques, livres & Co » Chroniques 2008 » Olivier HUTMAN : tous les ingrédients du JAZZ ! 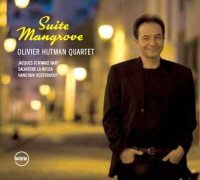 Olivier HUTMAN : tous les ingrédients du JAZZ ! 1/ Status Island. 2/ A Hole in the Earth. 3/ The Path that what Always. 4/ Intro Chain of Souls. 5/ Chain of Souls. 6/ July Tide. 7/ The Cliffs.